No matter what is happening in your life at this time, know that a deep inner sense of peace and gratitude can always be found. The next thought that may come into your mind is probably “how?” The answer is simple: seek within. We have been persuaded and programmed to believe that we need some sort of external stimuli or circumstance to occur in our outside world in order for us to feel safe, secure, loved, and even feel a sense of purpose. In reality, we are so much stronger that we can even imagine. We have infinite potential and an unlimited supply of knowledge, truth and wisdom that is waiting for us to tap into. The time is now. We are at a point in our soul’s forward evolutionary process where the tools, techniques and guidance of our Higher Self (the divine aspect of ourselves that is already whole and complete in spiritual truth and focused completely on divine love and divine service) can be integrated and brought into our conscious awareness. Divine right timing is always at play in our lives, and if you are reading this, you were guided here for a reason. This is an opportunity for you to grow and reclaim your power as a sovereign being of light. All it takes is a commitment to a daily spiritual practice and a clear intention to connect with your heart center and align with your soul’s highest calling — your divine life blueprint. In doing so, you begin to recognize your divine truth and your true divine worth. 1. Find a quiet space where you will be undisturbed. 2. Ask Archangel Michael, Archangel Metatron and your personal Guardian Angels to help you connect with your heart center and your divine life blueprint now. 3. When centered in your heart, invite in your Higher Self to join you. 4. Take three deep breaths while focusing on your heart center. Notice what you feel, notice what you hear, notice what you see, and notice what you notice. 5. You now recognize a pure white light beaming out from your heart center, showering your energetic bodies with divine love, joy and abundance. 6. Notice the deep sense of peace that you feel radiating in every cell of your body. 7. Relax in the knowing that all is well. Breathe deeply and let the light in. 8. When you are ready, express gratitude for the divine blessings that you just received. 9. Open your eyes and know that your life is blessed. This simple exercise can be used daily, allowing you to slow down and recognize yourself in the present moment. Rest in this knowing and be at peace. Cody Cooper is co-owner of A New Beginning, a spiritual center in Rochester, Minn. He is a Reiki Master, Spiritual Teacher, Author, Akashic Librarian and Divine Channel. Cody has a strong connection with Angels, Archangels and Ascended Masters, and he serves as a channel for these higher light beings. 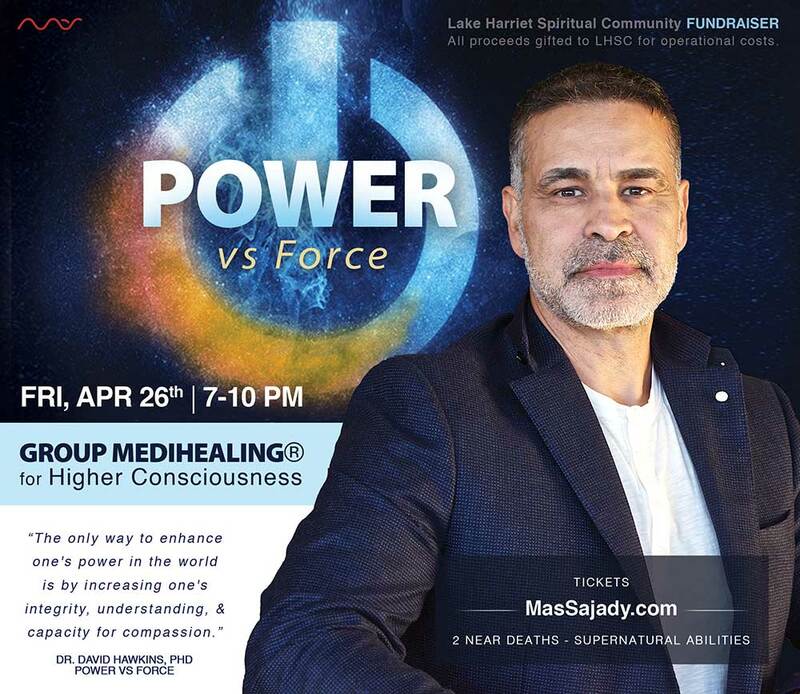 He also works with the Christ Consciousness energy to help others raise their vibrational frequency, allowing one to get into alignment with their divine life blueprint. Contact Cody at cody@anewbeginning.life or 612.501.5312.